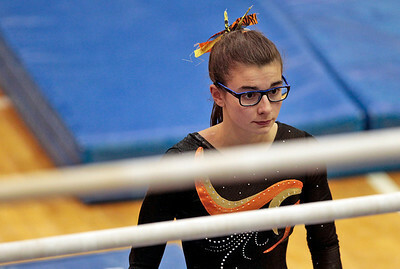 Kyle Grillot - kgrillot@shawmedia.com Dekalb senior Meredith Whisenhunt prepares to compete in the uneven bars event of the IHSA Girls Gymnastics State Meet Friday in Palatine. 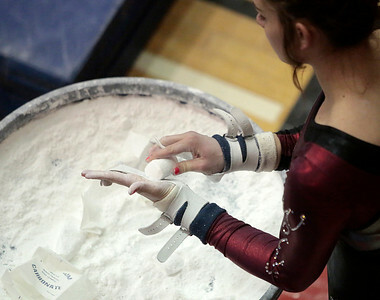 Kyle Grillot - kgrillot@shawmedia.com Prairie Ridge junior Rachel Underwood prepares to compete in the uneven bars event of the IHSA Girls Gymnastics State Meet Friday in Palatine. 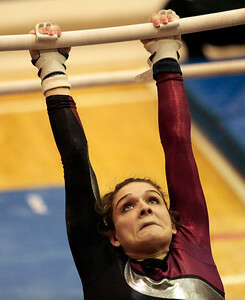 Kyle Grillot - kgrillot@shawmedia.com Prairie Ridge junior Rachel Underwood competes in the uneven bars event of the IHSA Girls Gymnastics State Meet Friday in Palatine. 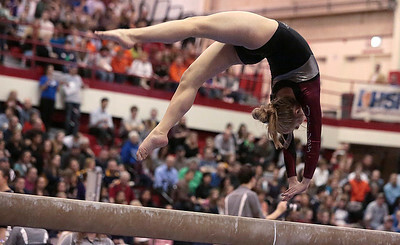 Kyle Grillot - kgrillot@shawmedia.com Prairie Ridge sophomore Maddie Solka competes in the balance beam event of the IHSA Girls Gymnastics State Meet Friday in Palatine. 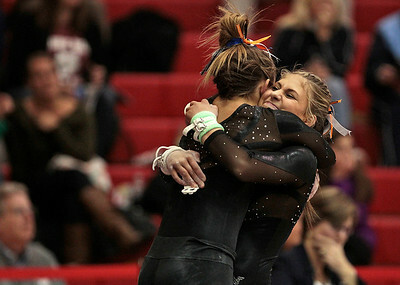 Kyle Grillot - kgrillot@shawmedia.com St. Charles North sophomore Rachel Dugan is greeted by a teammate after competing in the uneven bars event of the IHSA Girls Gymnastics State Meet Friday in Palatine. 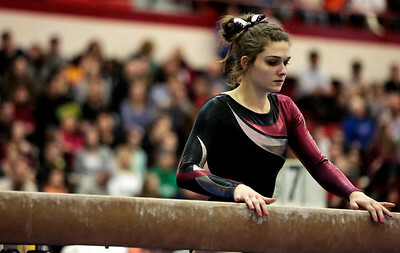 Kyle Grillot - kgrillot@shawmedia.com Prairie Ridge sophomore Maddie Solka competes in the uneven bars event of the IHSA Girls Gymnastics State Meet Friday in Palatine. Kyle Grillot - kgrillot@shawmedia.com St. Charles North Raquel Favia prepares to compete in the vault event of the IHSA Girls Gymnastics State Meet Friday in Palatine. Kyle Grillot - kgrillot@shawmedia.com The Priarie Ridge team comes together before the start of the IHSA Girls Gymnastics State Meet Friday in Palatine. 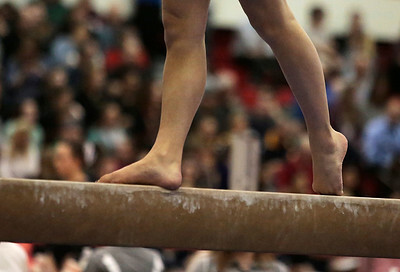 Kyle Grillot - kgrillot@shawmedia.com Geneva junior Grace Ginsberg dismounts from the balance beam event of the IHSA Girls Gymnastics State Meet Friday in Palatine. 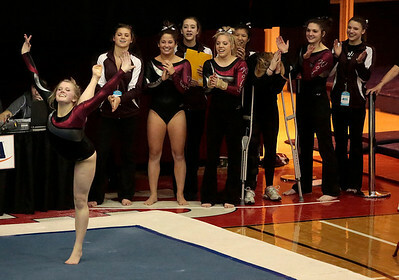 Kyle Grillot - kgrillot@shawmedia.com Geneva freshman Claire Rose Ginsberg is greeted by her teammates after competing in the vault event of the IHSA Girls Gymnastics State Meet Friday in Palatine. 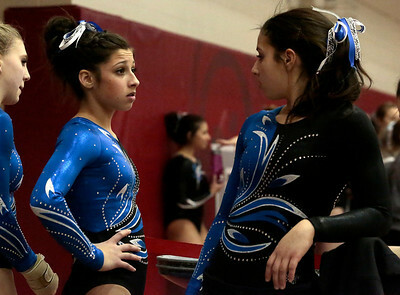 Kyle Grillot - kgrillot@shawmedia.com Geneva freshman Claire Rose Ginsberg (left) and junior Grace Ginsberg watch their teammates compete in the vault event of the IHSA Girls Gymnastics State Meet Friday in Palatine. 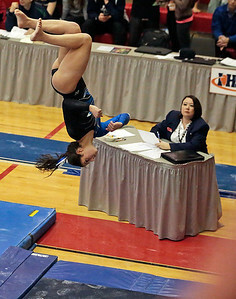 Kyle Grillot - kgrillot@shawmedia.com Geneva freshman Claire Rose Ginsberg cheers on her tammates during the vault event of the IHSA Girls Gymnastics State Meet Friday in Palatine. Kyle Grillot - kgrillot@shawmedia.com Geneva freshman Claire Rose Ginsberg (center) cheers on her teammates during the vault event of the IHSA Girls Gymnastics State Meet Friday in Palatine. 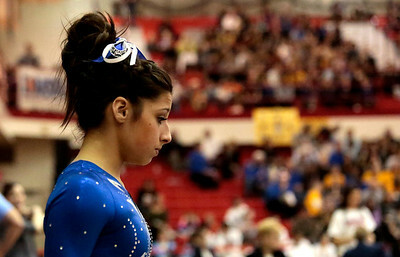 Ginsberg won the individual All-Around category. Kyle Grillot - kgrillot@shawmedia.com The Priarie Ridge team cheers as juniro Jada Berkland completes her floor exercise at the IHSA Girls Gymnastics State Meet Friday in Palatine. 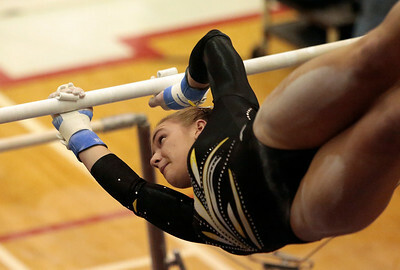 Kyle Grillot - kgrillot@shawmedia.com Jacobs junior Alli Riedel competes in the uneven bars event of the IHSA Girls Gymnastics State Meet Friday in Palatine. 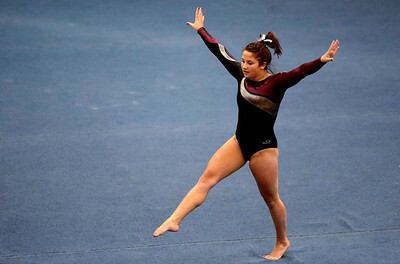 Kyle Grillot - kgrillot@shawmedia.com Prairie Ridge sophomore Kendall Rumford competes in the floor event of the IHSA Girls Gymnastics State Meet Friday in Palatine. 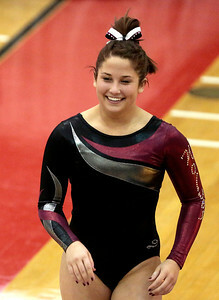 Kyle Grillot - kgrillot@shawmedia.com Prairie Ridge sophomore Kendall Rumford reacts after competing in the vault event of the IHSA Girls Gymnastics State Meet Friday in Palatine. 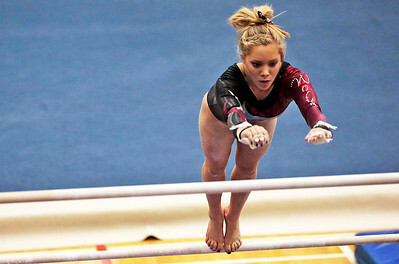 Kyle Grillot - kgrillot@shawmedia.com Prairie Ridge junior Rachel Underwood goes to climb back onto the bar while competing in the balance beam event of the IHSA Girls Gymnastics State Meet Friday in Palatine. 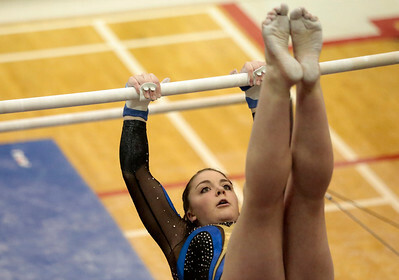 Kyle Grillot - kgrillot@shawmedia.com Lyons Township junior Kelsy Kurfirst competes in the uneven bars event of the IHSA Girls Gymnastics State Meet Friday in Palatine. 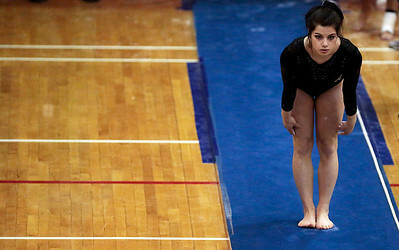 Dekalb senior Meredith Whisenhunt prepares to compete in the uneven bars event of the IHSA Girls Gymnastics State Meet Friday in Palatine.